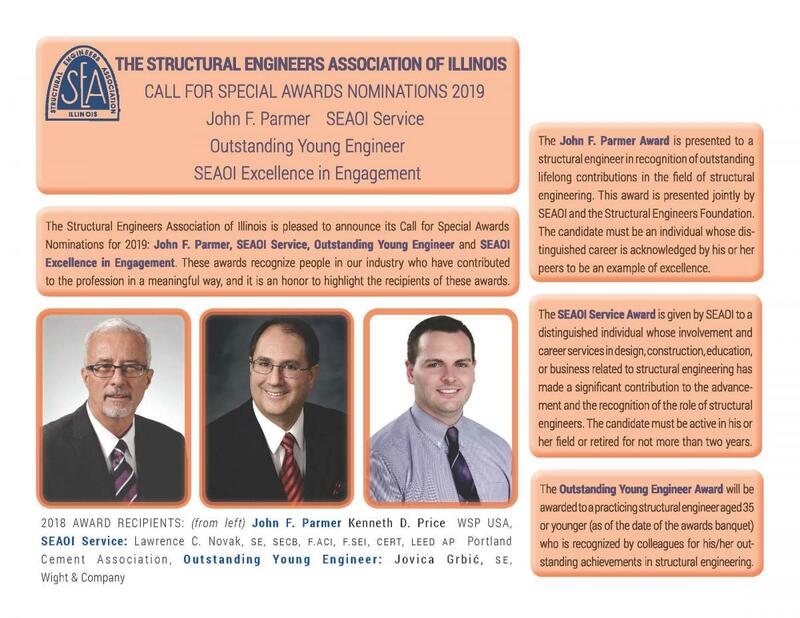 The SEAOI Service Award is given to individuals for outstanding contributions to SEAOI or to the profession of structural engineering in the State of Illinois. The SEAOI Service Award is given by SEAOI to a distinguished individual, whose involvement and career services in design, construction, education, or business related to structural engineering, has made a significant contribution to the advancement and the recognition of the role of structural engineers. The candidate must be active in his or her field or retired for not more than two years. Full brochure is available by clicking on the image below. 1990 Clyde N. Baker, Jr.